At 40 years-of-age, Filipino Manny Pacquiao still looks awesome. His skills are there undeniably. 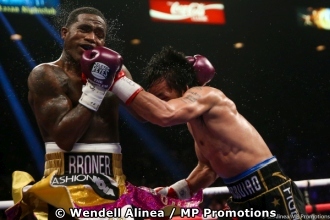 The 8-division world champion scored a clear unanimous decision win over Adrian "The Problem" Broner to retain his WBA regular 147-pound world title today (Jan 19) at the MGM Grand in Las Vegas USA. Scores were 117-111 and 116-112 (twice) all in favor of the Filipino icon, still one of the most popular boxers in the world. 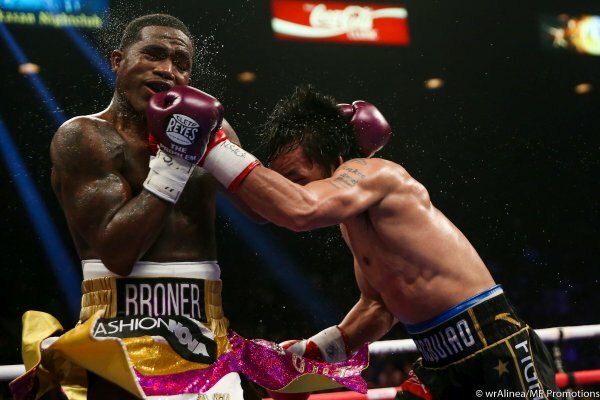 Pacquiao's best round was the 7th in which he landed a big straight left to the chin of the defensive and ineffective Broner, rocking him, wobbling him; yet the well-conditioned 29 year-old Cincinnati native did not go down. There were no cuts and nobody was dropped through-out the entertaining 12-rounder watched in the USA on Showtime PPV. 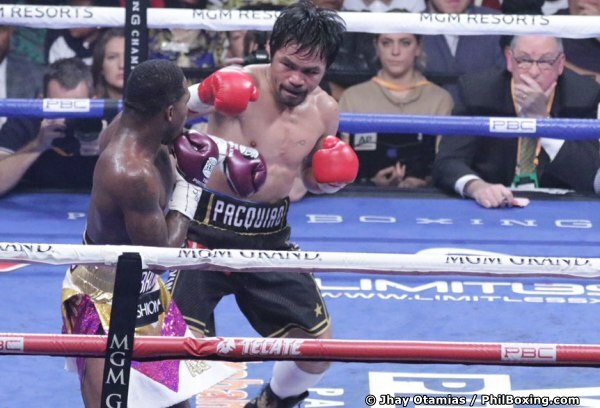 It was Pacquiao's triumphant return to Las Vegas after a 2-year absence. Filipinos for the support. He says that at his age he feels good and is willing to continue his stellar boxing career. In addition, the Pacman said that he is contented with being a Senator while denying his current interest in running for president of the Philippines. Finally, asked if he would fight former opponent Floyd Mayweather, Pacquiao said he would fight him again, if Mayweather would ever comes back from retirement. Mayweather, watching and listening at ringside, did not reply a word, keeping silent. The author Carlos Costa is a Panama-born veteran fight reporter based in Cebu. Carlos can be reached by carlos512@hotmail.com and whatsapp 09184538152.